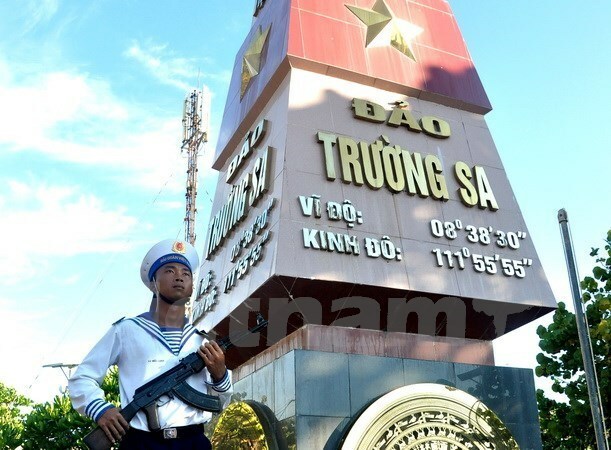 Hanoi (VNA) – The Vietnam Post has protested against China’s recent issuance of a collection of postage stamps featuring five lighthouses it has built on Chau Vien, Gac Ma, Si Bi, Chu Thap and Vanh Khan reefs on Vietnam’s Truong Sa (Spratly) archipelago. In a statement released on December 13, the Ministry of Information and Communications said the stamp issuance on October 28 is a serious violation of Vietnam’s sovereignty over Truong Sa archipelago, and runs counter to Article 8 of the Universal Postal Union Convention. Vietnam has full historical and legal evidence affirming its sovereignty over Hoang Sa (Paracel) and Truong Sa archipelagoes, the ministry said. The Vietnam Post demanded that China Post respect the historical truth and immediately repeal the set of stamps, envelopes and publications featuring islands on Truong Sa archipelago.